Big thanks to Renee Maskin, Kim Boyko, DDA, The May Darlings, Espresso Joe's, and everyone who made it out for the incredible evening of music last night. 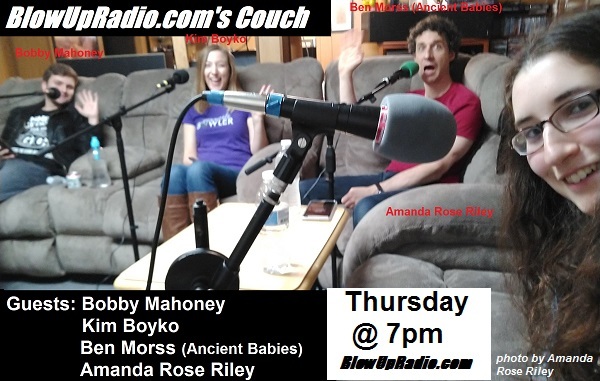 The second installment features guests Bobby Mahoney, Kim Boyko, Ben Morss (Ancient Babies), & Amanda Rose Riley. And BlowUpRadio.com is proud to announce that we now have an official pizza sponsor for BlowUpRadio.com's Couch, Nunzio's Kitchen (http://www.nunzioskitchen.com), who will be supplying pizza to guests on the show. 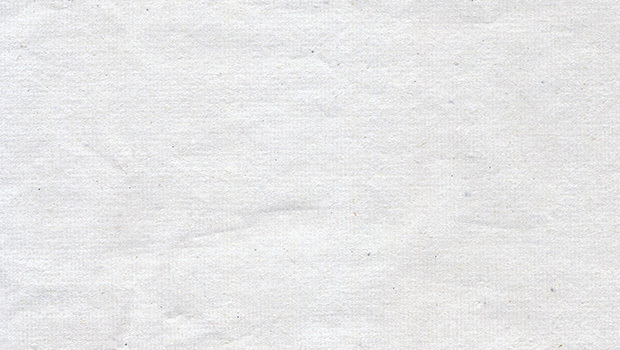 BlowUpRadio.com New Music Sampler - March 2018, is available as a free download at spondy.bandcamp.com (just enter $0 into the Pay What You Want field). Please go to spondy.bandcamp.com to donate to the Spondylitis Association Of America and get the 2017 Banding Together Compilation, containing 36 song previously unreleased tracks. Trying a new show this Thursday at 7pm, "BlowUpRadio.com's Is It The Weekend Yet?" It will be part concert previews, part interviews (this week's call in guests are Old Currents, & Diego Allessandro), & there will always be the possibility of other surprises. Tune in Thursday night at 7pm, and let me know what you think. And if you're a musician, don't forget to send me your upcoming concerts in NJ/NYC/Philly, so we can post them on our concert calendar and mention them on BlowUpRadio.com's Is It The Weekend Yet? It all started during the taping of BlowUpRadio.com's Couch last Sunday when Kim Boyko talked about giving pizza to guests on her music interview show, 3 Songs Live (side note: her show is incredible & you should all be watching it http://www.3songslive.com). I don't think she was complaining about BlowUpRadio.com's Couch not having food , but I decided to make a joke about it when I was live tweeting (@BlowUpRadio) during the broadcast of the episode. I said maybe I should get my favorite local pizzeria, Nunzios Kitchen to sponsor future episodes & supply a few pies, & much to my surprise they liked the idea (I honestly did not expect to get any response). Drive, Kid - "Map" from "Picturesque - EP"
Tempus Fugit - "Unapologetic" from "The Basement Tapes"
With Sails Ahead - "Willow" from "Morning Sun"
Eryn - "Hallelujah You're Gone" from "Lady E"
Madi Sileo - "Wonderful Life (feat Bheffs)" from "Wonderful Life (feat Bheffs) [single]"
aBIRD - "A Cool Island Song" from "A Cool Island Song [single]"
Brandon Broderick - "The Tide" from "The Tide [single]"
Sunbowl - "Day Off" from "Day Off [single]"
Bruce Tunkel - "No Way To Live" from "No Way To Live [single]"
Laree Cisco - "Pisces Heart" from "Pisces Heart"
Consolation Prize - "Last Round Of The Draft" from "S/T"
Anthems For Autumn - "Feel Me" from "Feel Me [single]"
Shel Zeke - "Face" from "Lo-Fi & Lackadaisical"
Berkeley Arms - "Floodlight" from "Floodlight [single]"
Old Currents - "What's a Bar Like You Doing in a Girl Like This?" from "Three Chords & The Truth"
Shutter - "Happy Song" from "Hue(s) & Colors"
Hello Whirled - "Jars Of Me" from "Magna Aliqua"
Baron Praxis - "Spirit That I Am" from "Satanic Panic"
Shithead's Rainbow - "Big Eyes" from "Ludlows"
la vi - "hney" from "hney [single]"
Zebrantula - "Safar-I" from "Demo"
hazy daisies - "mechanical sounds" from "hazy daisies"
Dino Petaccio & The Intruders - "Panama St. High" from "Memories You Left In This Town"
Amanda Rose Riley - "A Song That's Not In G" from "Secrets I Told To A Sound Hole"
Sonofdov - "Only If Your Heart Begins To Fade (alt-version)" from "Wolves"
Westfalia - "Fever Dream" from "Moving Car"
Dylan Mayer - "Don't Call Me Baby" from "On Cuthbert Ave"
Dominic DiTaranto - "New Jersey Again" from "Chicago/New Jersey"
The Fireside Chats NJ - "The Air Around You" from "Silverton"
Coping Skills - "I'd Rather Not (Yeah)" from "Worst New Music"
Liza Anne - "Small Talks" from "Fine But Dying"
Icicle - "Silent Screams" from "Silence"
Wye Oak - "The Louder I Call, The Faster It Runs" from "The Louder I Call, The Faster It Runs [single]"
Lorde feat. Run The Jewels - "Supercut (El-P Remix)" from "Supercut (El-P Remix) [single]"
Ben LaMar Gay - "Miss Nealie Burns" from "Downtown Castles Can Never Block The Sun"
Ciaran Campbell ft. Cathrine Wacha - "Born Dead" from "Born Dead [single]"
Wood Shampoo - "Things Ain't Supposed To Be This Way" from "Bongo Boys Records Revolution Volume One"
Prism Tats - "The Liar" from "Mamba"
Everybody Else Got Engineers - "Here Be Tigers" from "Here Be Tigers [single]"
Mess - "Another Song About The Grave" from "Tree"
Ellie Schmidly - "One More Wave/Sring" from "Blossom & Bone"
Michael Prophet - "Turn MeOn" from "Turn Me On [single]"
Malakiya - "Stand Up" from "Montego Records Presents: Allstar Rockers"